Legendary Events design team is a complete full-service design and production department. We excel in developing innovative ideas that not only attract attention; we can help your company to make legendary statements. From timeless and traditional décor to fashion-forward and cutting edge, all of the events we create are exquisitely built and perfectly executed. 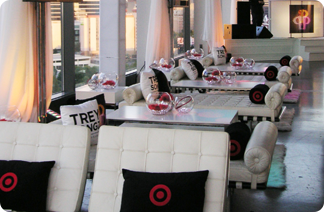 Company award ceremonies, corporate dinners, social galas, product launches, networking events, we do it all! 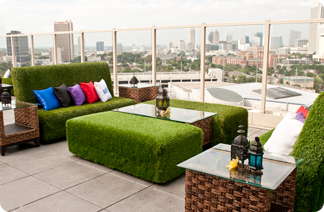 Don’t just take our word for it; experience the style and creativity of our installations and décor for yourself. Our design team has a keen sense of style and attention to detail. We will work closely with you to create the ideal look and feel you desire, whether matching corporate colors or building one of a kind branded products, everything you have imagined and more is possible. 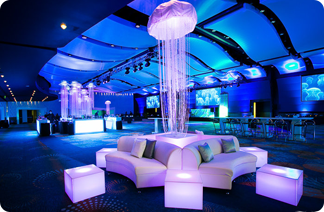 That’s why we are Atlanta’s leading event experts; we do everything we can to make your dream event come to life. Contact us today and let the professionals at Legendary Events handle the rest. We want to commend the outstanding performance of Legendary Events. The Cinco de Mayo theme was evident at every turn. The menu selection was perfect – not to mention the absolutely stunning display of cuisine. The elegant and colorful table décor, candles and beautiful floral arrangements really set the tone for an excellent celebration and absolute successful event. The event was enjoyed by all…very “top-notch” in every aspect. Steelscape and our customers thank you for a wonderful evening. Thank you so much for a beautiful event last night. Everyone was so very pleased with the look of the evening. Each event is managed from start to finish by a senior Event Manager who will remain on site for the duration. We supervise every vendor or talent as well as work with committee or group members who are also participating in and contributing to the event process. The experts at Legendary Events are prepared to handle all of your logistics; from crowd control, to entertainment, transportation, permits and technical requirements for lighting, special effects, and audio-visual. Our production schedules and financial outlines are detailed to ensure timeliness and completion within your budget. Contact us today to begin creating your legendary event!